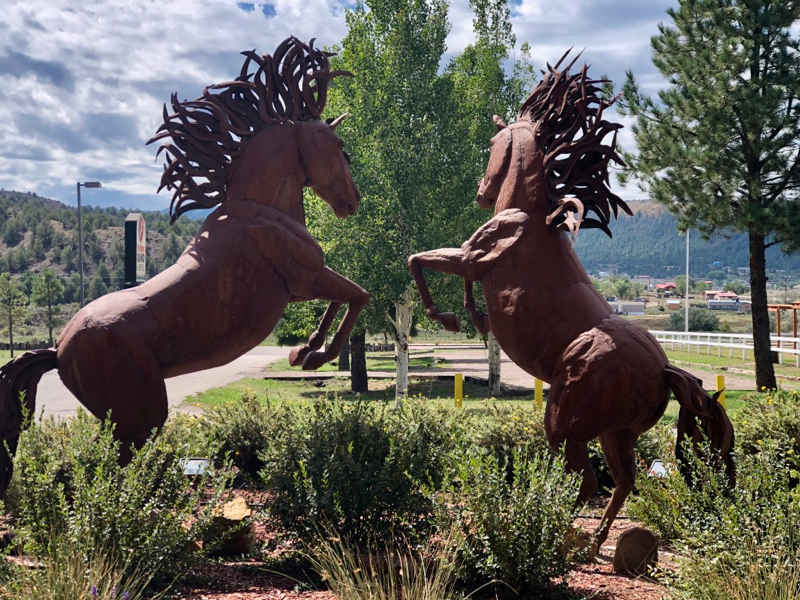 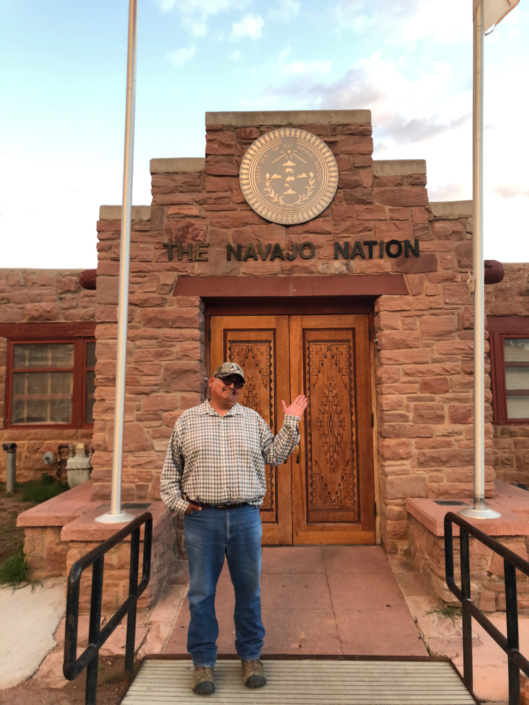 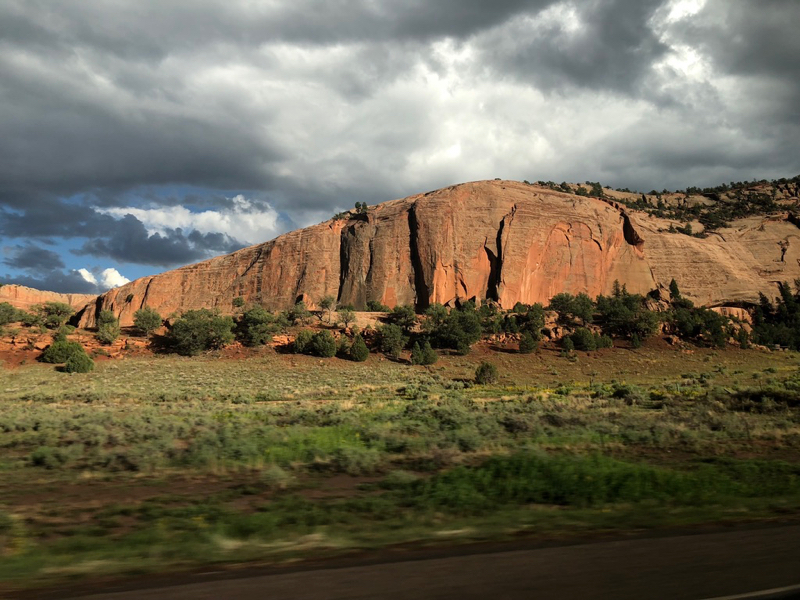 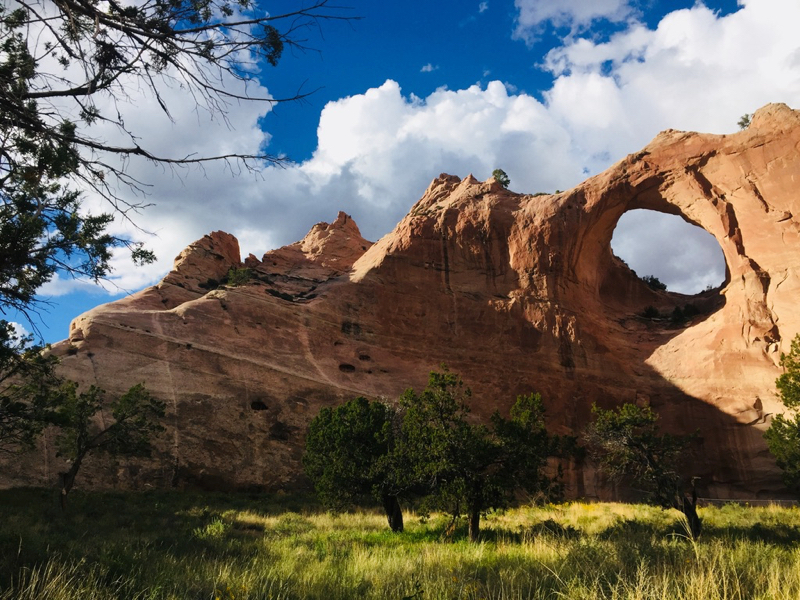 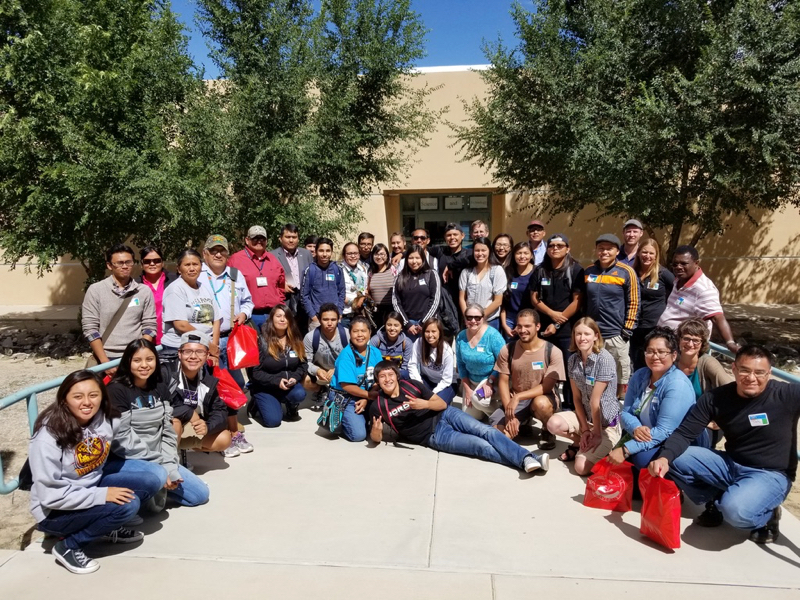 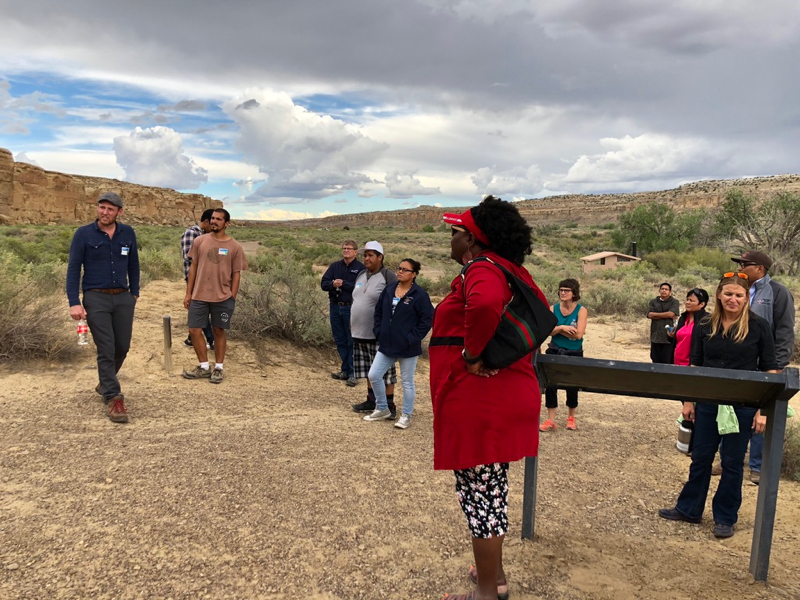 In September 2018, members of the Native Waters on Arid Lands (NWAL) project team held climate change workshops at the Jicarilla Apache Nation Reservation and Navajo Technical University in New Mexico. 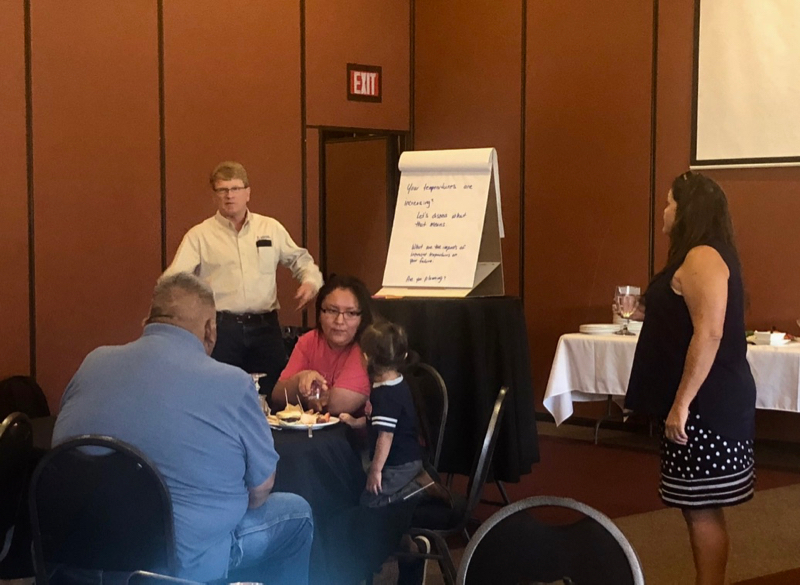 The purpose of these workshops was a) to share and discuss NWAL climate data and projections for each reservation, and b) to learn about climate adaptation plans, needs, and challenges faced by tribal members in each region. 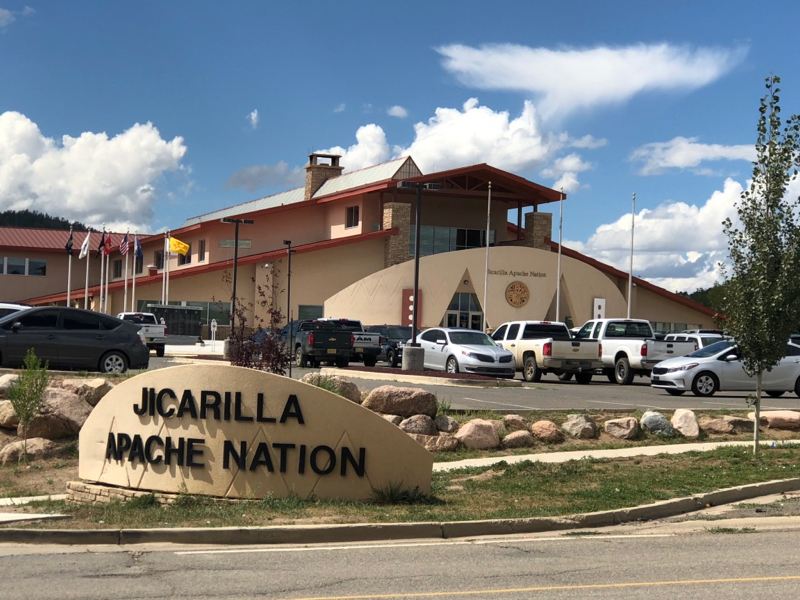 On the Jicarilla Apache Nation Reservation, located in northern New Mexico near the Colorado border, an ongoing drought (currently ranked by the U.S. Drought Monitor as levels D3 and D4, the two most severe categories) has made farming and ranching extremely difficult – and in future years, climate change is expected make conditions even more challenging. 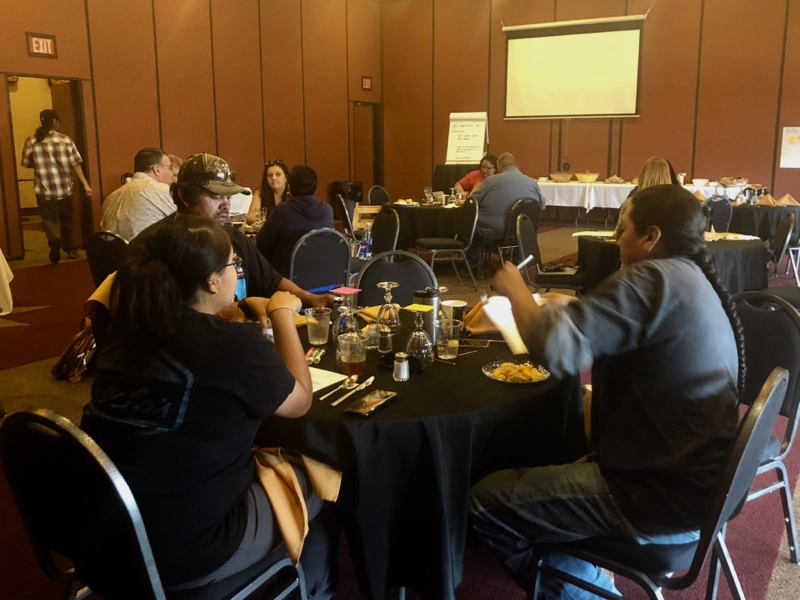 At the Jicarilla climate change workshop, which was attended by approximately 20 members of the Jicarilla Apache Nation, NWAL team member Christine Albano shared detailed climate data and projections for the Jicarilla Reservation that extend through the year 2100. NWAL team members Trent Teegerstrom and Staci Emm led discussions with the group about the impact of the ongoing drought on agricultural and livestock operations, and concerns about future climate change in the region. 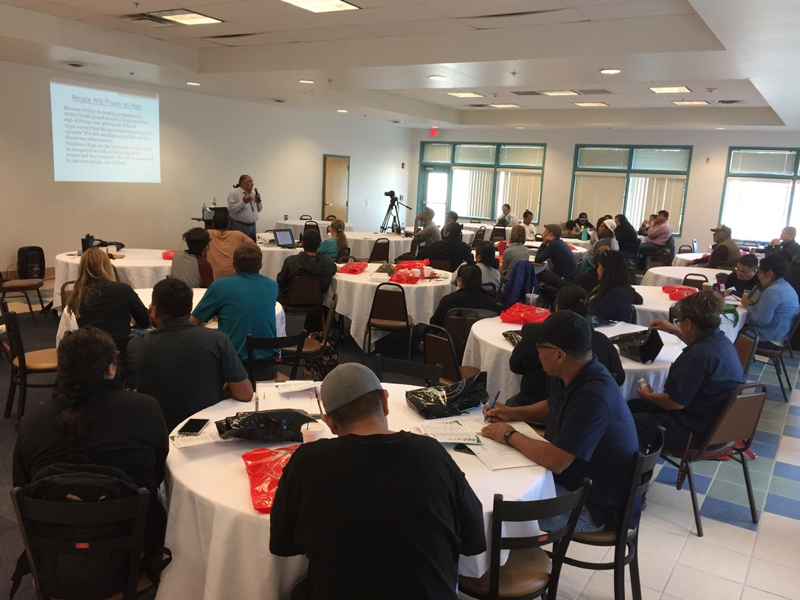 At Navajo Technical University (NTU), located in Crownpoint, NM, approximately 85 people gathered for NWAL’s climate change workshop on September 6th. 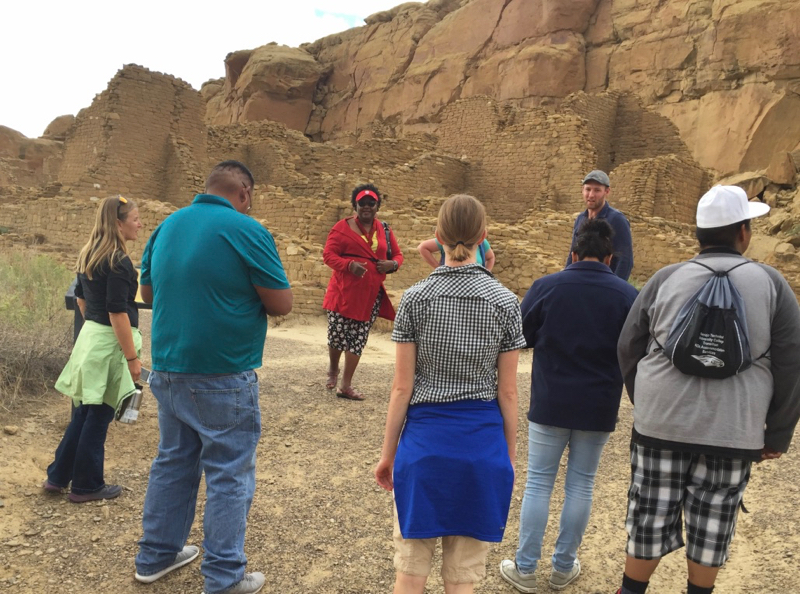 The group consisted of students and faculty from NTU, and high school students from Navajo Preparatory School in Farmington, NM. This workshop, organized by NWAL team member Steven Chischilly of NTU, included a presentation about Hopi traditional cultural perspectives on climate change, a talk about the impacts of climate change on Pinyon Pine of the Colorado Plateau, and a presentation about historic and modern climate change in the Navajo Nation and the Colorado River regions based on NWAL’s climate data and projections. In the discussion that followed the presentations, the students and other workshop participants talked about the impacts of an ongoing, extended drought on their community and families, many of whom are involved with agriculture and livestock production on the Navajo Nation. 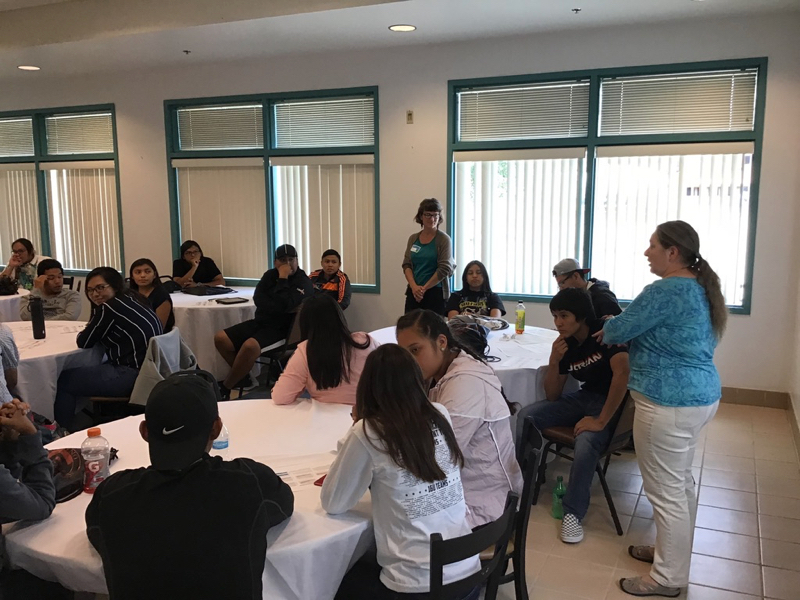 Although many people from older generations tell stories of the large snowstorms that once occurred in this region – sometimes with as much as 4 or 5 feet of snow – none of the younger students present at the workshop could remember a time when something like this had happened. 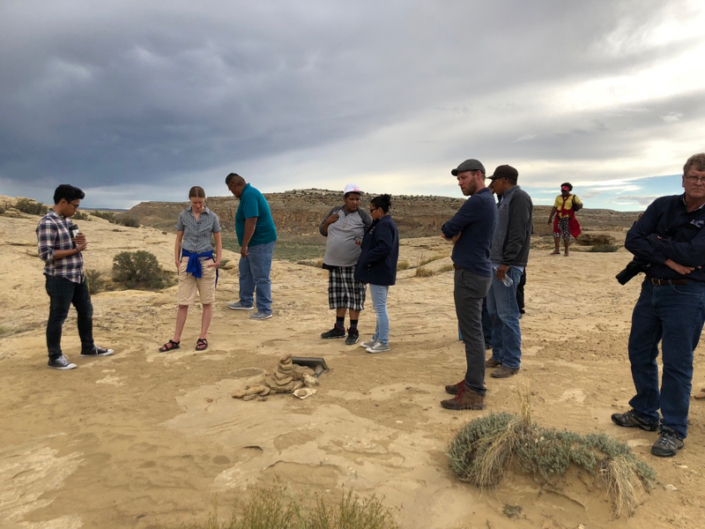 Workshop participants expressed a great awareness about climate change, and participated in an extensive discussion about interactions between climate and ecology of the region, added NWAL team member Meghan Collins. 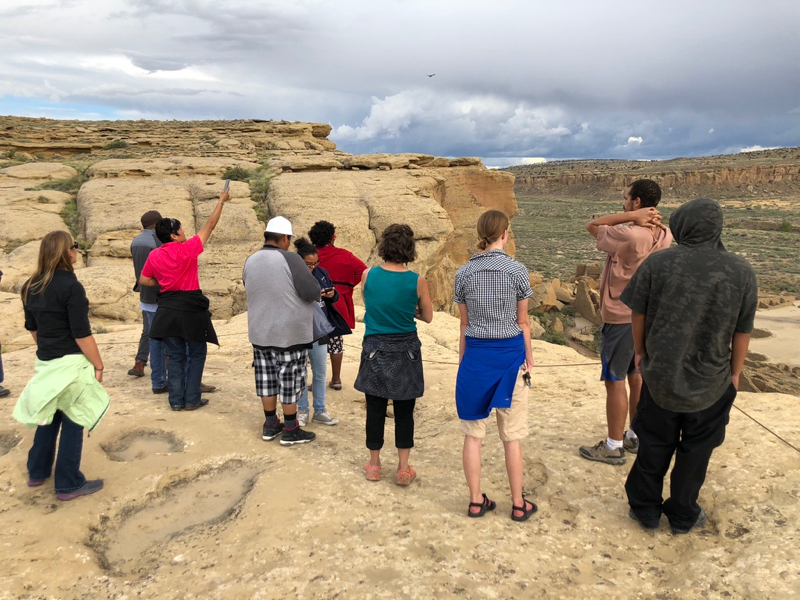 In the afternoon, about 20 of the workshop attendees took a field trip to the nearby Chaco Canyon National Historic Park. 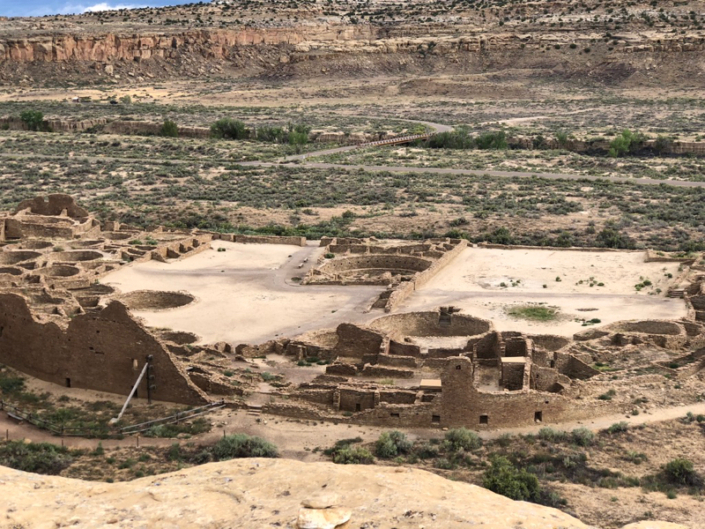 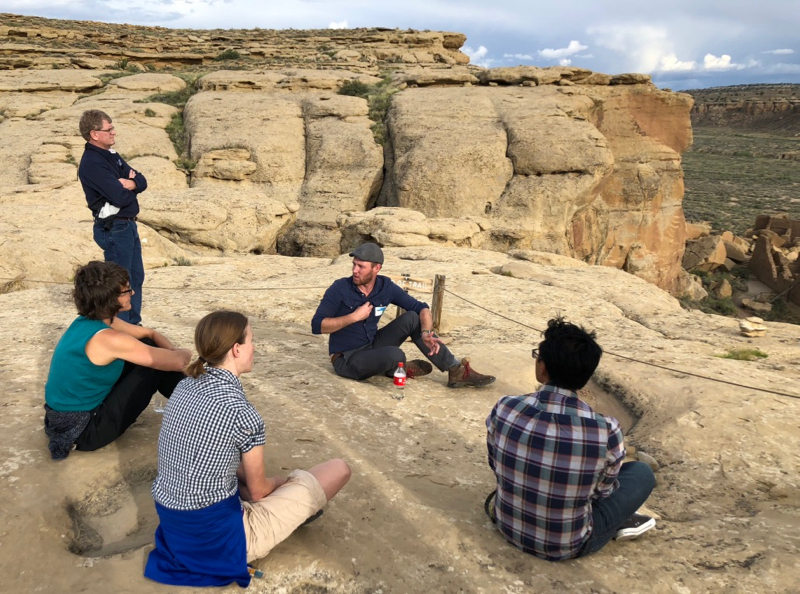 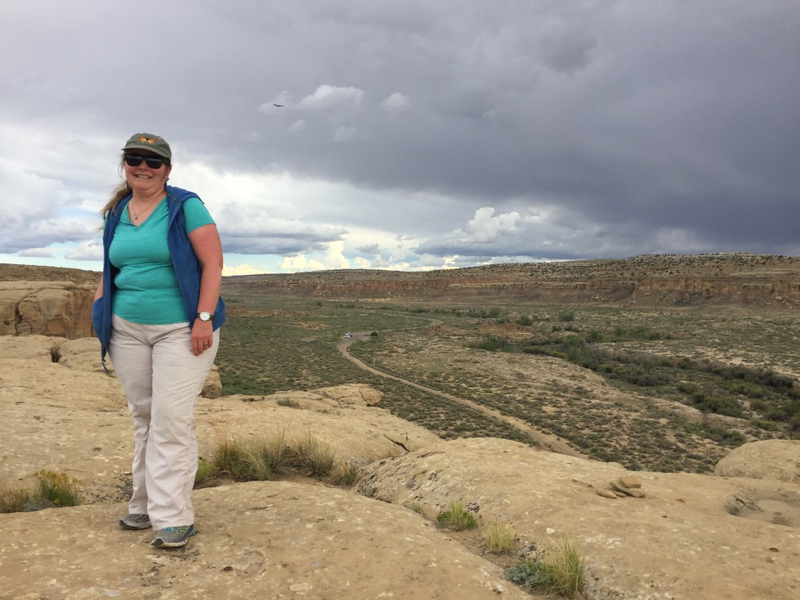 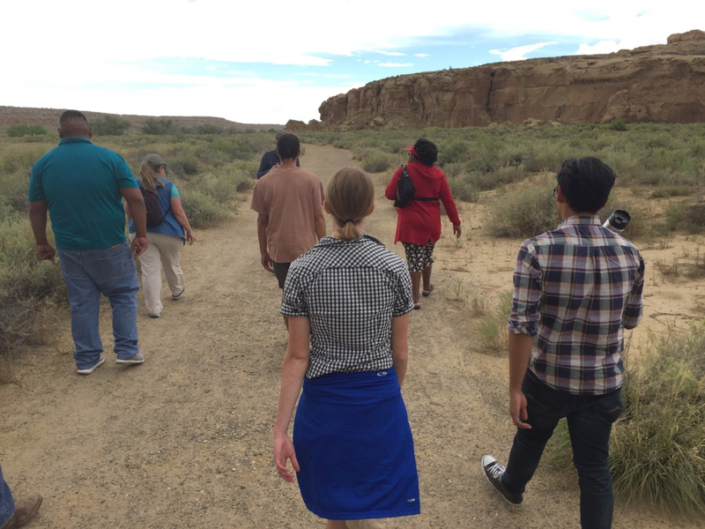 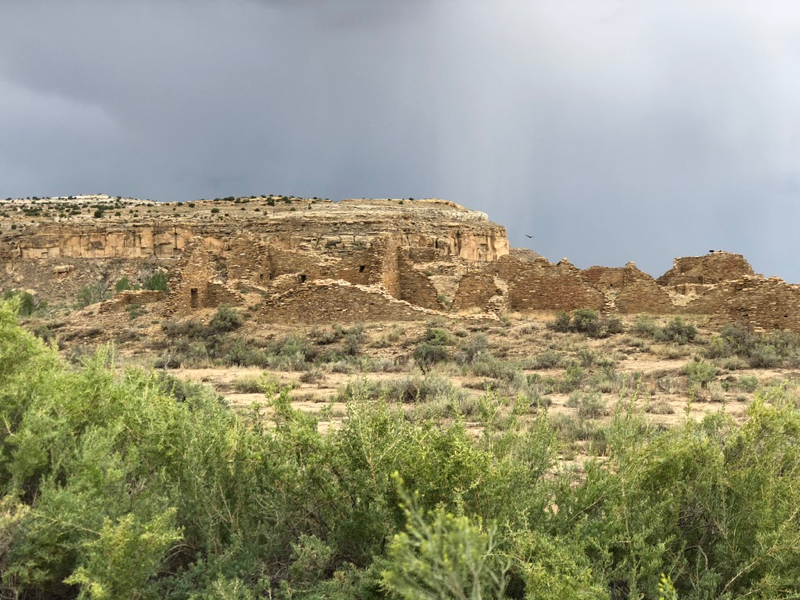 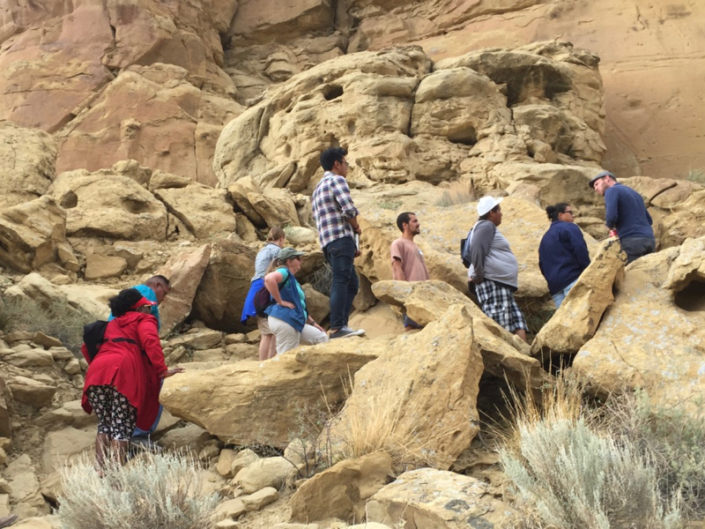 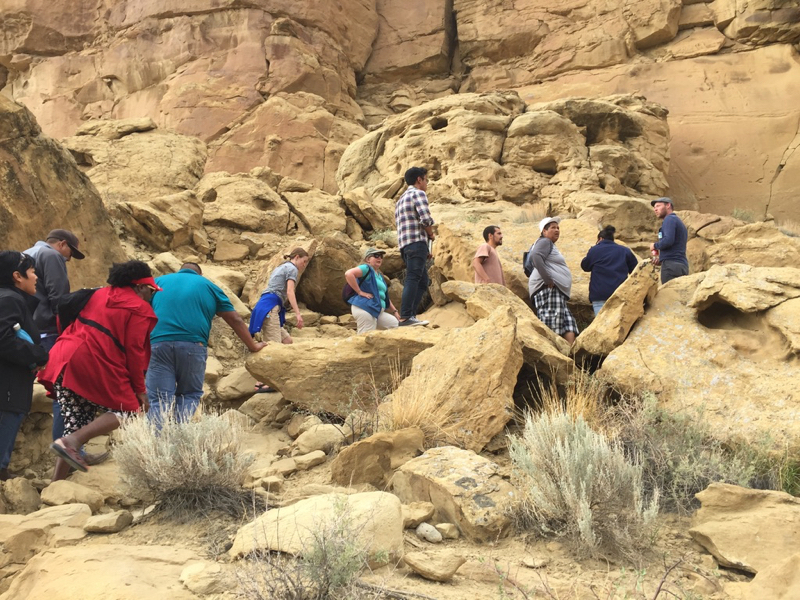 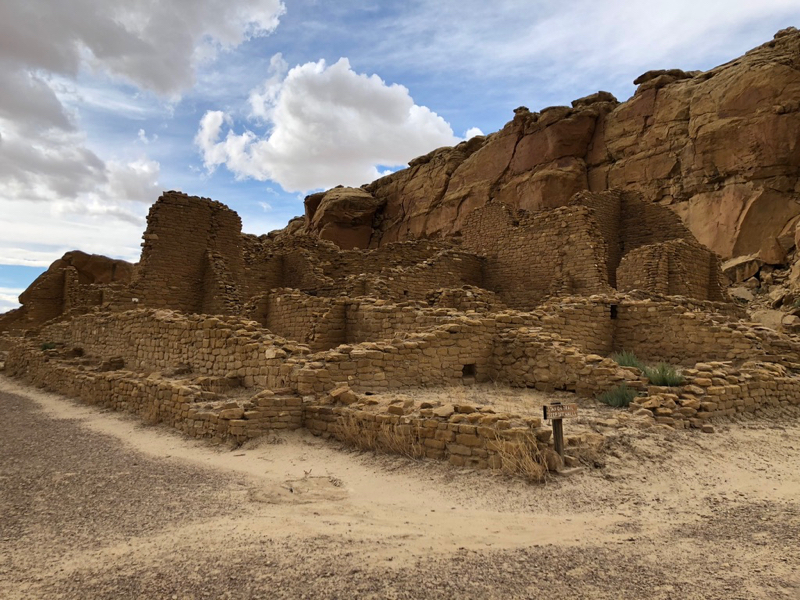 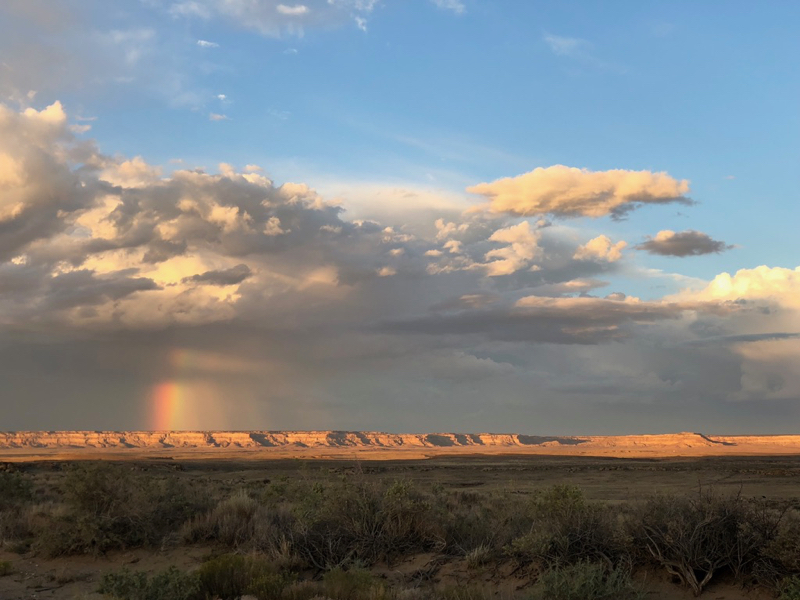 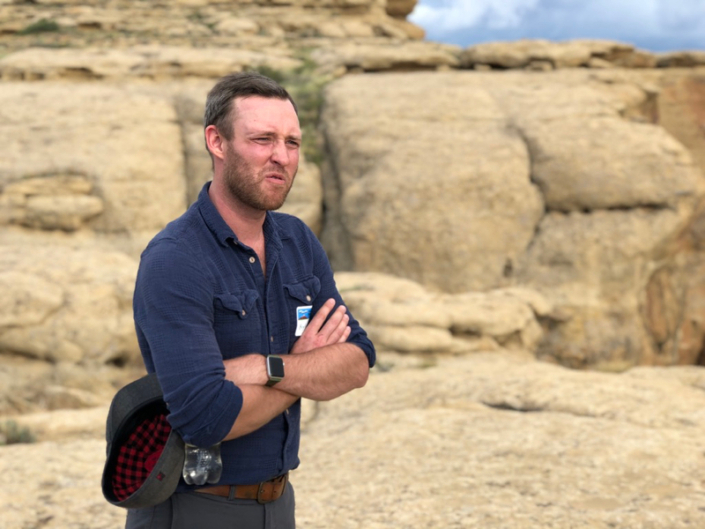 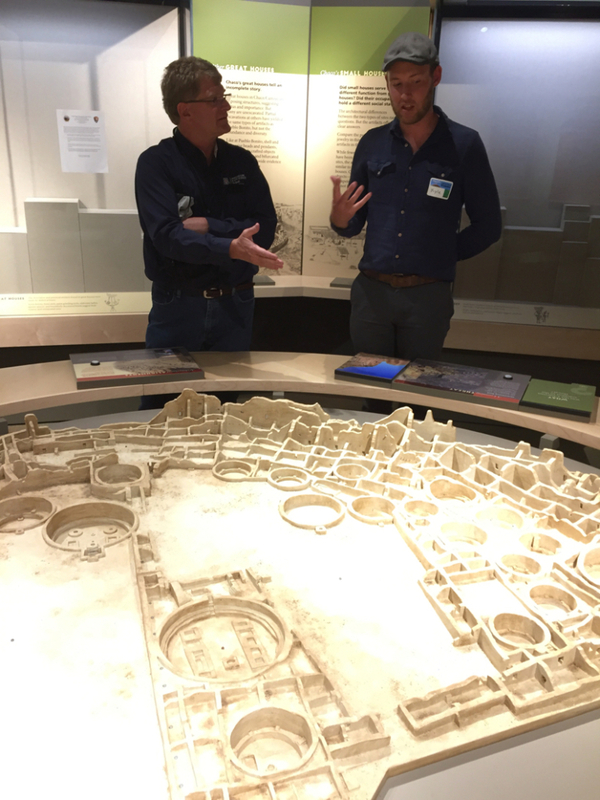 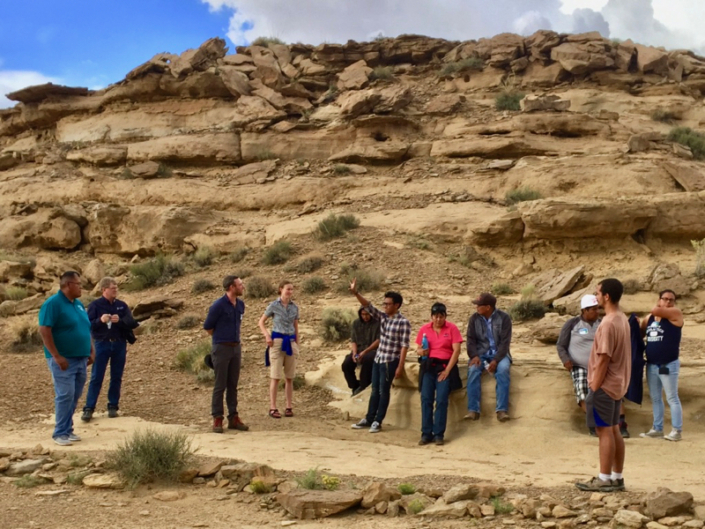 Here, NWAL team member Kyle Bocinsky, Ph.D., led a hike and discussion about historic climate change and the culture that created the sophisticated pueblos of the region – all set against the spectacular backdrop of Chaco Canyon. 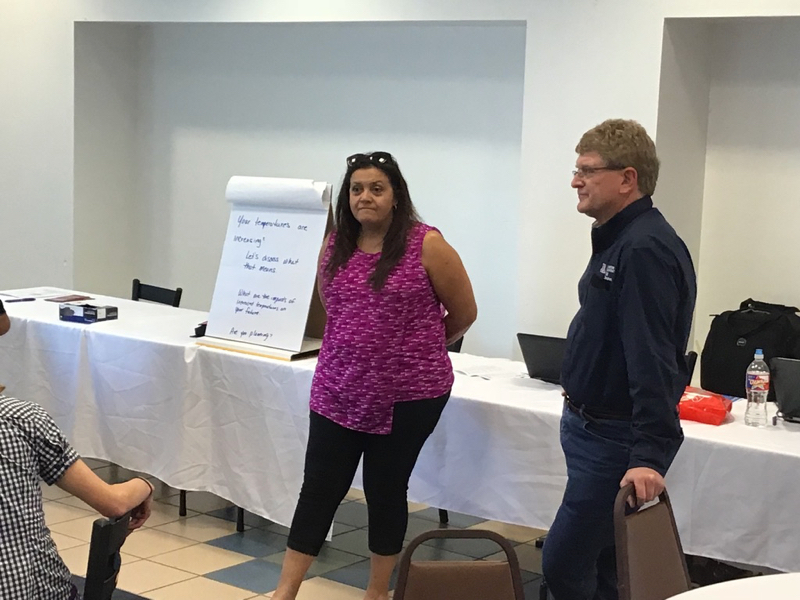 Overall, NWAL’s program director felt that the climate change workshop at NTU exceeded the goals that the team had going into it.